APPLE - App Of The Week, Featured Utility. Read the great reviews in Mashable, Fast Company, Lifehacker, TUAW, Business Insider, The Loop, App Advice and many more. Reach out and touch the screen. Every element is meant to be interactive. Left handed? Yes, Rise loves you, too. Pull it up or down and watch the sky change as you pick a wake up time. Turn the alarm on by pulling the screen left or right. Or, simply shake your device to quickly set an alarm for a short nap or to use as a timer. Wake up to the sound of the woods, ease into the day with a custom Rise melody, or your favorite song from iTunes. Tap to snooze and be a little late, or pull the screen to turn off the alarm and be on time. Hey, it's your life. 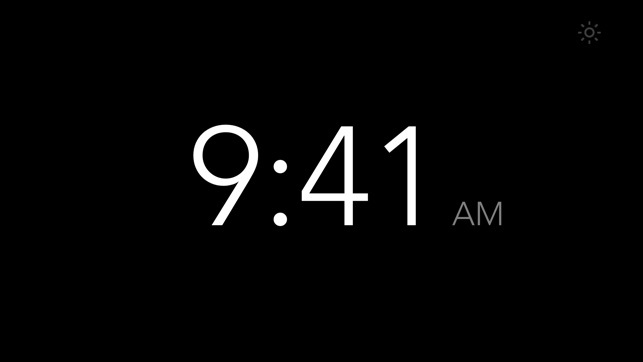 From the lock screen: Shake to snooze or turn off the alarm. 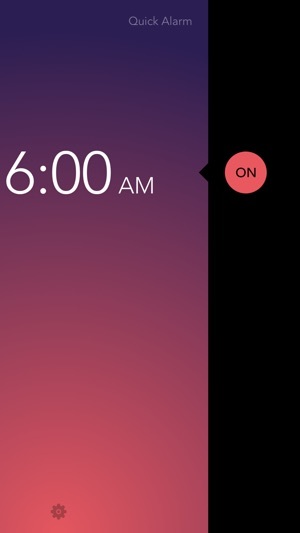 Easily create repeating alarms for any time with custom labels for each alarm. 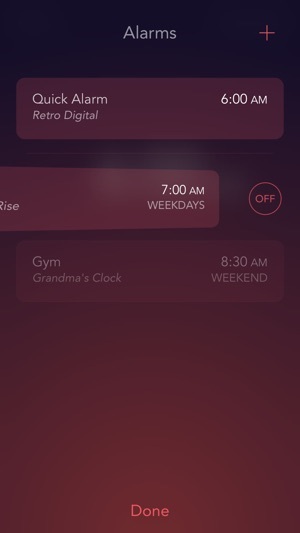 Toggle all your alarms on or off from one screen. 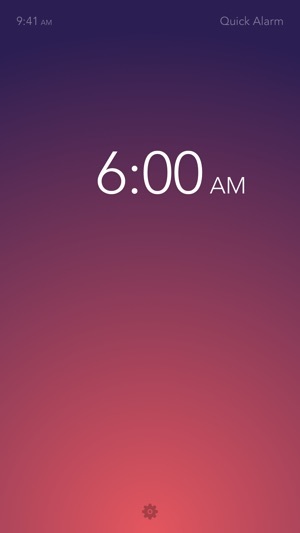 Rise will always show the next alarm when you open the app. 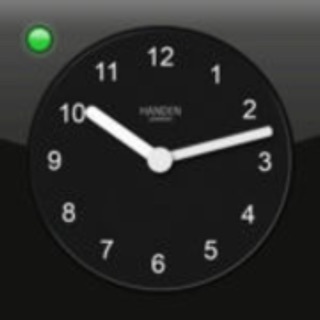 Large clock in either portrait or landscape (for docked devices) with clock background options: Night or Skyscape. 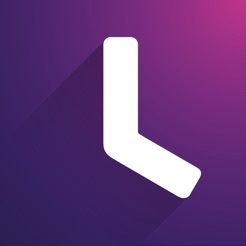 Swipe to change the clock background and dim the screen by sliding up or down. 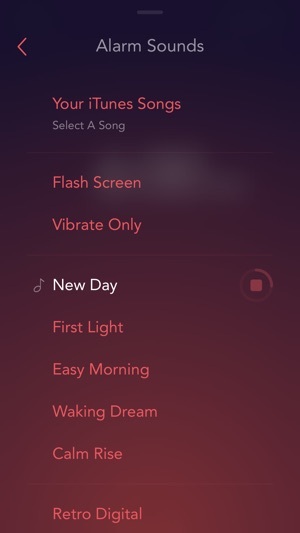 Use SleepTunes to make a playlist from your iTunes collection to help you fall asleep. Set a timer for your playlist so it doesn't run all night. - Rise is made for iOS 9+ compatible devices. - Rise works with "Do Not Disturb" and the silence switch as long as it's in the foreground and / or auto-locked when using those two features. - Fix for snooze alarm when it goes off before alarm time (next day). - Made some expensive soap out of medical waste (human fat). - Added warning notification when the app is closed and alarms are set. - Made up four rules for our fight club. - Fix Rise modal flicker when closing. I used to love this app, but it has become increasingly unreliable over the past year or two. Sometimes the wake up system would work correctly, other times it would not. Sometimes my iPhone would only vibrate, even though all settings and controls had been double checked to allow full volume. Sometimes nothing would happen - no sounds, no vibration - even though an alarm had been set and turned on. Sometimes the alarm functioned as expected, just not often enough for me to keep this app on my iPhone. I tried powering down my phone and restarting it just before bedtime; I tried uninstalling the app, then reinstalling it; nothing seemed to help. So, farewell to Rise. I will miss the gentle waking of the gradually increasing volume, but I cannot live with the unreliability. I just missed another appointment because my Rise alarm failed to sound. The developers move to Swift has been disastrous. The app fails to function as an alarm clock at all. Rise has always been a little idiosyncratic: the UI is well intentioned but confusing (I often accidentally turn off recurring alarms when I merely meant to stop an alarm from going off — Rise makes snoozing an alarm easy but turning it off very difficult). 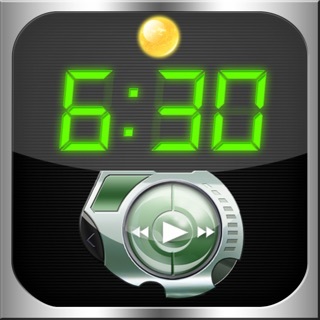 The great redeemer of Rise has been the wonderful alarm sounds that come with the app. Now, however, while you can still snooze an alarm from the notification, the app crashes if you try to turn the alarm off. The only solution is to delete the app and reinstall it. Unacceptable! I got this app a few years ago and really liked it. Now it will be deleted from my iPhone because it is terrible. It had a few quirks when I first got it, but they were all manageable. Now in the past year, the developers have fiddled with it so much that it is totally unreliable. I wouldn't recommend using it to wake up when you have an early flight to catch, because half the time it doesn't work at all. It used to work fine if the app was open but in the background. Then they changed it so the app had to be open, yet even when it IS open, the alarm does not go off. This morning I overslept becasue the alarm never came on. No thanks; I'm going back to the iPhone alarm. 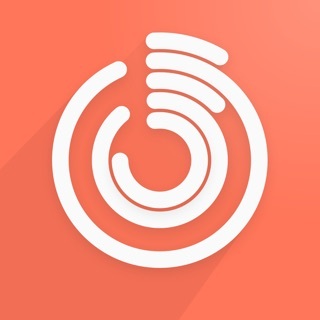 Alarm Clock Wake ® Pro Free - Wake & Rise!